Do Catholics Worship “Graven Images”? Question sent to John Martignoni from www.BibleChristianSociety.com. The answer is John Martignoni’s. 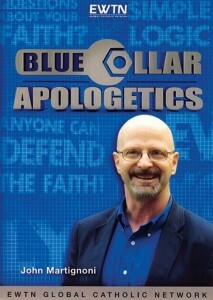 Check out his new audio series to the left and his excellent website. I’m Catholic, but I do not understand nor have answers to why we use statues and blessed images in the Catholic church as opposed to God’s commandment in Exodus 20. I’m not against this practice, i just want to understand why, and as well, know how to convince non-Catholics, because the only explanation I’ve gotten so far and can still remember is “there were statues on the ark of the covenant”. I knew nothing about “why” when a friend (Catholic) asked me to constructively explain why and not defensively. I patiently await your reply. Thank you for your time, and God bless. Which means, given the context, this is not an absolute prohibition upon the Israelites against the making of graven images or any likeness of things in heaven or on earth, rather they are being prohibited from making such images and then turning around and worshipping them. Does Paul tell the Romans that God gave these men up in the lusts of their hearts simply because they made graven images or images of things in heaven or on earth? No! He gave them up in the lusts of their hearts because they viewed these images as gods and they worshippedthe images they had made. They forsook worship of the one true God for the worship of idols. So the prohibition against graven images in Exodus 20 is not an absolute prohibition against making graven images or images of things in heaven or on earth, it is a prohibition against worshipping them as gods. And we know this is true from the Bible itself! So, not only are graven images not forbidden to be made, but God Himself commands the making of one! 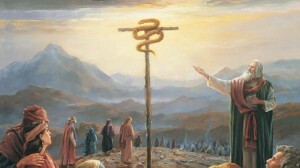 And, this graven image is used, by God, in a religious context, to heal those who had been bitten by serpents after they had grumbled against God. And, in the New Testament, this graven image is even seen as an Old Testament type of Christ: “And as Moses lifted up the serpent in the wilderness, so must the Son of man be lifted up, that whoever believes in Him may have eternal life,” (John 3:14-15). The graven image of the serpent had a religious purpose! Imagine that, a graven image, commanded by God to be made; used by God in the physical healing of the Israelites; and seen by the Word of God as a symbol for the spiritual healing of all people by Jesus Christ! 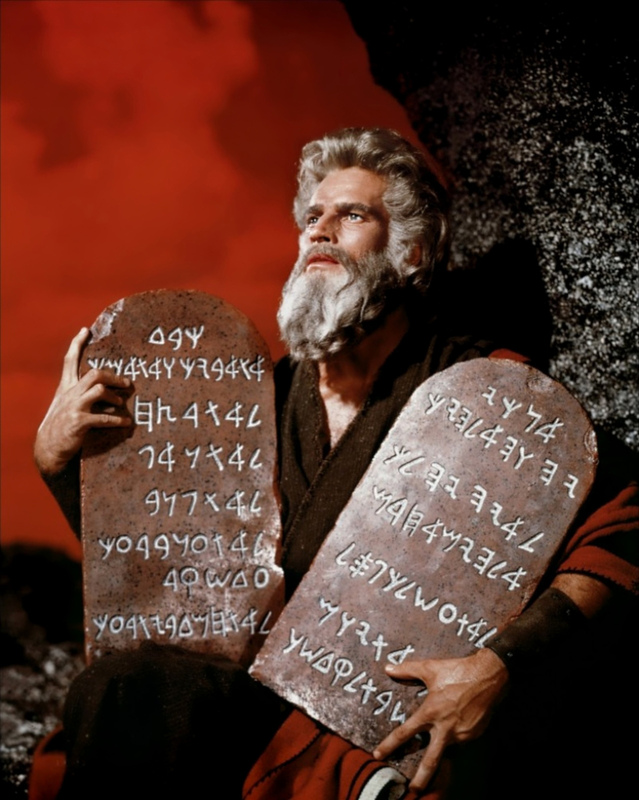 I don’t understand how any Protestant who is in any way familiar with Scripture could read Exodus 20 as an absolute prohibition against the making of graven or any other type of image. So, was the making of this graven image a bad thing? Obviously not. However, what happened to that same bronze serpent several hundred years later? 2 Kings 18:4 tells us that King Hezekiah destroyed the bronze serpent. Why? Because the people at that time had begun worshipping it as a god. So, as a graven image, there was no problem with it. As a graven image that the people were bowing down to and serving, there was a big problem. The scriptural principle we can take away from this is that graven images, or images of things in heaven or on earth are not, in and of themselves, bad things – even if they are used for religious purposes. It is when they are worshipped as gods that there is a problem. That graven images are not necessarily a problem is confirmed by other passages of Scripture. There are a number of other places in Scripture where God commands the making of graven images, and it is always within a religious context. 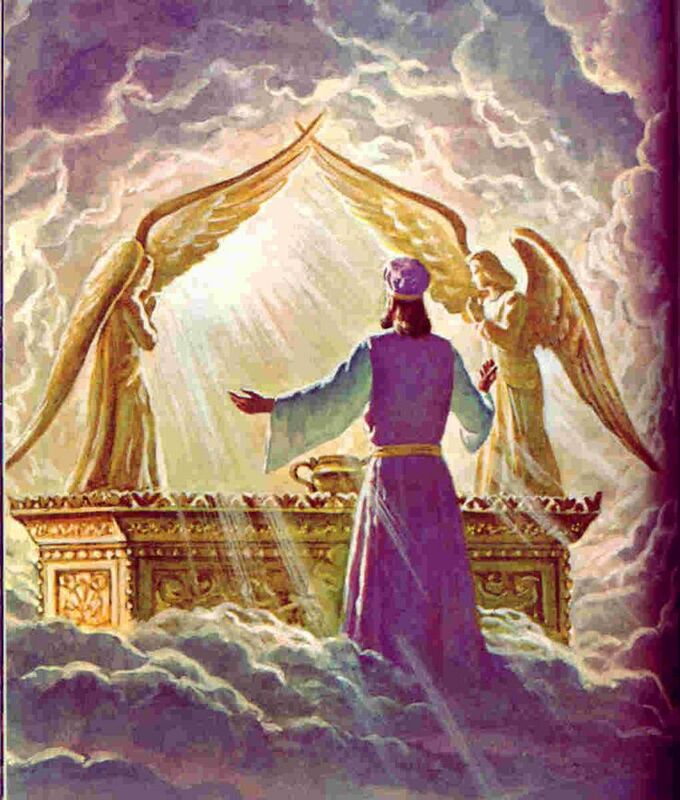 In Exodus 25:18-19, God commands the making of the two cherubim of gold that are on either side of the mercy seat that sits atop the Ark of the Covenant. Think about that. God commands graven images to be placed on top of the Ark of the Covenant – the holiest religious artifact in all of Israel! There are graven images of flowers on the lampstands of the Tent of Meeting (Numbers 8:4). Then, when it came to the building of the Temple of Solomon, God commanded the making of all sorts of graven images for use in the Temple. We see this in 1 Kings 6:18, 23, 27-29, 32, 35; 7:18, 20, 25, 29, 36. Graven images in the Temple of Solomon! In the vision of Ezekiel given to him by God, there is a temple and in the temple are graven images (Ezek 41:17-20). Also, in the New Testament, there is a passage in Galatians that is very interesting in regard to this topic. Galatains 3:1, “O foolish Galatians! Who has bewitched you, before whose eyes Jesus Christ was publicly portrayed as crucified? The Galatians had seen an image of Christ crucified. They had seen a crucifix! Now, was it a live representation of Christ crucified, or was it a carved image – a graven image – of Christ crucified? We can’t really be sure, but one thing is for sure, they were looking at an imageof Christ on the cross – a crucifix. Finally, you find graven images and images of things in heaven and on earth all in and through most Protestant homes and churches. 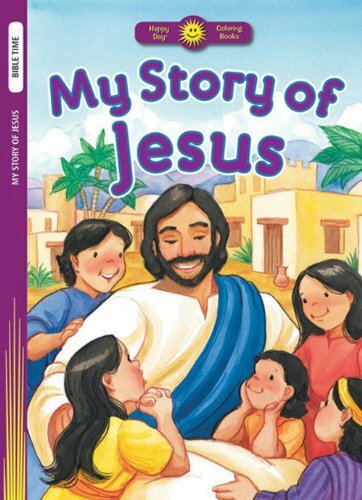 You find them in the children’s books that have drawings of Jesus and of angels and of man and beast. Not to mention the drawings of the Holy Spirit as a dove. You find them in the nativity scenes that many Protestant churches and homes have. I’ve heard of Protestants who wear pins in the shape of a dove to represent the Holy Spirit. And what about the pictures they have of family members and friends at home and the office? I mean, all of those things, if you take an absolutist view of Exodus 20:4, are under the ban. They are all prohibited. “Wait a minute,” someone might say, “we don’t worship those images and don’t use them in our worship ceremonies like Catholics do.” In other words, when they are called on it, most Protestants, if not all, will agree that the making of graven images, of images of things in heaven and on earth, are not prohibited by Exodus 20:4. It is when they are worshipped as gods that there is a problem. Which is exactly what I have been saying here. So? I have seen Protestants kiss pictures of their wife and children – does that mean they worship them? I kneel before my bed to say my prayers every morning – does that mean I worship my bed? 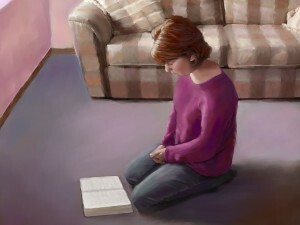 I have seen Protestants kneel before Bibles to pray – does that mean they worship a book made of paper and ink? Not at all. If anyone who calls himself Catholic actually worships a statue, then he really is not Catholic and has absolutely no understanding of Catholic teaching and practice. All of which is to say, that the Protestant argument regarding Catholics violating the Commandment by making images of things in heaven and on earth, is null and void. It makes no scriptural sense. It makes no logical sense. It makes no common sense. It is a false accusation against Catholics that people who call themselves “children of God” should be ashamed to make.